• How does the Register to Receive Special offer deal work? Simply Register online and subscribe to our newsletter and we will send a welcome email with a special offer just for you! • Do you have an order minimum? Yes, we do. The minimum order is $35.00. You can place an order under $35.00 but, there will be a handling and shipping fee. • If I can't find an item I need, what should I do? 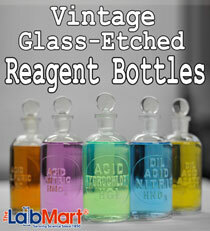 The Labmart website only contains a fraction of the items we have access to. If you need something you can't locate on our site give us a call at 1-800-684-1234 M-F 8am-5pm EST or Email Sales at LabMart and we will do our best to find the item for you. • What are my ordering options? You may order online on our website, give us a call at 1-800-684-1234 M-F 8am-5pm EST, or fax us at 1-908-561-3002. • What type of payment do you accept? We accept American Express®, Visa®, Mastercard®, Discover®, and hard copy purchase orders from government agencies, public schools & universities and companies. We accept hard copy purchase orders from government agencies, public schools, & universities and companies with prior approval. The PO must have contact information for accounts payable, ship-to information, a purchase order number and an authorization signature. • Can I set up a business credit account? Yes, an account can be set up for established companies with existing credit references by faxing your credit reference form to 908-561-3002 or Request a Credit Application. • Is your online credit card processing secure? We take numerous steps to ensure that your payment information is processed confidentially, accurately and securely. www.labmart.com uses encryption technology, such as Secure Sockets Layer (SSL), to protect your credit card information during data transport. • I'd rather not use my credit card online. What should I do? • What is your shipping policy? See our Shipping and Returns Policy page. Shipping is generally done via UPS Ground, FedEx Ground, or methods the customer may request. Certain hazardous items may have shipping restrictions and may require additional hazardous charges. UPS or FED EX may not accept these items and alternate shipping methods will be used. We will make every effort to minimize shipping charges. Shipping regulations are constantly changing but we will try to inform our customers as this occurs. We ship from various locations within the Continental US.. These terms only apply within the Continental US. Shipments to Canada may incur additional freight charges. We can ship on customer freight accounts. In these cases, all additional freight charges will be waived. • How can I get my tracking information? Email Sales or call 1-800-684-1234 for customer service M-F 8am-5pm EST. We also email shipping and tracking information upon shipment. • I received one item from my order. Where are the rest? We ship from various warehouses throughout the US. Usually orders with multiple items ship from various locations where ground shipment receipt times can vary. • My item is broken or damaged. What do I do? See the Shipping and Returns Policy page. Contact Sales or call us at 1-800-684-1234. See the Shipping and Returns Policy page. • How do I return an item? See the Shipping and Returns Policy page. Email Sales or call 1-800-684-1234 for a returned goods authorization number within 30 days of receipt of delivery. If a package arrives other than specified by the RGA or without a RGA number no credit will be issued. All items returned are subject to a restocking fee. Chemicals are non-refundable. See the Shipping and Returns Policy page.